1. The Last Of Us is a game of impossible tensions. A game of having cake and eating it too. A game that wants to walk a tightrope that so many games before it have fallen from. It wants its tightly-authored narrative and it wants the player to feel like their actions from one moment to the next are actually consequential. The Last Of Us is a remarkable game because, more often than not it finds this impossible balance. The Last Of Us is an infuriating game because the few times it does stumble, it plummets. 2. I once wrote in an article for Hyper (that I keep meaning to make available online) that the reason I loved DayZ was that it is the closest videogames have even gotten to evoking the feelings and themes of Cormac McCarthy's novel The Road. The loneliness coupled with a terror that someone could be anywhere. The savage wasteland stripped bare of resources. Spending hours in a single town, risking your life in the hope you might find a single can of beans, maybe even some bullets. Sitting on a hill and looking at a barn for a full five minutes to see if anyone exits it before you enter. The knowledge that if you worked with the other players on the map you could be invincible coupled with your finger tense over the mouse's left button, ready to fire in case you do actually see another player. DayZ isn't a narrative equivalent to The Road, but it is a thematic equivalent. Because there is no story designed by the developers that must be seen through, it can focus purely on the non-story that is the entire mind and body consumed in the simple acts of managing resources and not trusting your fellow human. The simple act of not dying. 3. The Last Of Us wants to be The Road both thematically and narratively. It wants DayZ's sense of brutal survivalism, but it also wants to tell an pre-authored story about a man and a child walking across the United States that will play out a certain way. I have no qualms with "a veneer of survivalism" to reappropriate Dan Golding's critique of Bioshock: Infinite. I like how Tomb Raider and Max Payne 3 and Spec Ops: The Line communicate the desperate, gritty survival of their characters without necessarily ever making me feel like that maybe, just maybe, I might actually die. Even Metal Gear Solid 3, with its non-realistic focus on hunger and injuries, gave a good veneer of survivalism, an ambience, without me as the player ever feeling like that my character might die from hunger or my wounds. Resources were always plentiful enough, but it was something to pester my mind constantly. Little concerns that don't go away. The Last Of Us wants both, and this is the key tension that had me tipping back and forward from being in awe at the game and wanting to rage quit and never come back. It wanted to limit my supplies to such an extreme extent that I might feel like I would actually die. Like I might forget that there is a narrative in this game that is going to play out in a certain way and that the game has an obligation to make sure it is impossible for me, the player, to screw up to such an extent that I can't get through it. And, truly, it is so incredibly remarkable that for the vast majority of the time, it pulls this off. I would spend half an hour or more steering Joel around, clutching a revolver with a single bullet in the chamber. The number "1" in the lower-right screen glaring at me, not letting me forget. Like McCarthy constantly reminding The Road's reader exactly how many bullets are left in the gun. I might find two shotgun shells. I haven't used my shotgun for two hours, but I know it has no ammo. I stop, pull my shotgun out of my backpack, load the two shells into the five-shell chamber, and put it back in my backpack. I stand back up with my single revolver bullet and carry on. That these little moments are able to exist in a tightly authored game is remarkable. 4. But then it doesn't work. You are trapped in a room and you have to fight zombies for five minutes. Or you are hanging upside down from the ceiling protecting Ellie with an unlimited supply of revolver bullets. It's not that these segments aren't explained within the game (Ellie finds more bullets, magically, and throws them to Joel), but they completely jar with the gravity that the rest of the game has built up around firing a gun. It devalues bullets by making you use more of them in a single scene than you have previously used in the entire game. No single scene in The Last Of Us is bad in itself, but many of them jarred with the experience of desperate frugalness. Most particular the upside-down-with-unlimited-ammo segment (a segment I would be utterly delighted to play in, say, an Uncharted game). But this is that impossible tension. I usually have no qualms with doing what the designer wants me to do when I am playing an authored game. But The Last Of Us does such a great job of making me feel like I might run out of ammo and die that the times I had to do a lot of shooting, I really struggled. 5. Another (related) tension: The Last Of Us is an expensive blockbuster game that is, simultaneously, trying not to be a blockbuster game, and not wanting to stray too far from the conventions of blockbuster games. It doesn't want to be the same as every other game, but it doesn't want to stray too far from the path, either. It's a tension that underpins this entire interview on Edge with the game's creators. For every actually-creative choice they discuss, there is an anxiety that people won't get it (indeed, their focus testers apparently didn't). The idea that a game doesn't need multiple endings or choices or anything to be engaging. The idea that you can play a teenage girl in a dark and gritty game. 6. But the 'gamey-ness' is still there in The Last Of Us. It hasn't fully gone away. Every now and then it can't help but remind you that you are playing a AAA videogame. This is most apparent at the start. After an incredible opening, after a nicely-paced, slow tutorial out of the city and back in again, you have the most amazing sense of place. The military forces, life Outside The Walls, what these zombies have done to society, the toughness of life inside the walls. It's all there. Walking through the marketplace stitched together with tarps between old buses, where vendors sell barbecued rats, you get this place. Then you walk into a square area full of waist-high boxes, and you know exactly what is going to happen. The same happens at the water station. As I walk through it from one side of the other, with Joel's brother telling me his hopeful stories for the future, all I can see is the Videogame Cover everywhere, yelling at me that there will soon be a gunfight (and, indeed, it is a gunfight that exists for a gunfight's sake, adding nothing to the game). I still go back and forward on whether or not this is a fair criticism. Should a videogame try to not be a videogame? I often speak highly of Hideo Kojima's games for not shying away from their own videogame-ness, but for embracing it. I think it bugged me in The Last Of Us, though, because it was inconsistent. For long stretches of time it was interested only in evoking its sensation of darkness, of getting me wrapped up and lost inside the story of these characters that I was controlling. But then, in pockets, it just wanted to be a videogame with 'videogame bits', because a videogame should have 'videogame bits'. I think those bits just felt like an inability to commit to a vision. But, they only stand out here because The Last Of Us, by and large, is committed to its vision like almost no other recent blockbuster. 7. And while I could complain that there is still too much shooting in this game (and I truly believe there is), there is no denying that those skirmishes feel unlike any other game. There is a weight to the guns, to the bullets. Every time you pull the trigger is a Big Deal (this is greatly helped by the fact you don't have access to an assault rifle for the vast majority of the game). And, wonderfully, you often get the sense that the same is true for your opponents, that they don't want to waste their ammo, either. The way these core mechanics that differ little from Uncharted have been converted into an entirely different genre and given an entirely different feel is an excellent achievement. I just wish I was doing it less often. 8. Others have, quite keenly, noted a trend of 'dadification' in videogames like The Last Of Us. As the young, twenty-something, mostly-male creators of blockbuster videogames start to get older and have their own families, we are seeing more videogames with themes of fathers protecting children/families. The Last Of Us is undeniably part of this trend. But I think The Last Of Us is also more interesting in that it isn't just using the relationship between a father and a child to frame a story; it is a story about fatherhood (and, more broadly, parenthood). That is far more interesting. There is the relationship between Joel and Sarah. Between Joel and Ellie. Between Sam and Henry. Between Ellie and David. Between Ellie and Marlene. What I find fascinating is that, apart from Joel and Sarah at the start of the game, none of these relationships are about the relationship between a kid and their birth parent, instead it is always a surrogate. Someone else who has stepped into the role of parent for one reason or another. The Last Of Us is a dadified game of dadified characters. 9. When The Last Of Us starts, you are playing as a teenage girl. After the intro is over, your partner (and boss, more or less), is a woman. The next major plot character you meet, who follows you for a time, is a black woman. Then Ellie, another teenage girl, joins you. A while later, the first male to ever join your party who is not Joel is, it is implied but never explicitly stated, gay. The next two people that join up with you are a black man and boy. Make no mistake: all of these characters are in support roles. The Last Of Us is, at its core, another videogame about a straight, white, grizzly man with facial hair. But, I was incredibly pleased to see this diverse range of characters in the game. They never felt like lip service. They never felt like a quota that was trying to be filled. They never felt stereotypical (to me, at least). It just felt like a believably diverse representation of the kinds of people in this world. I really appreciated the effort. Though, it would've been nice to actually encounter some female bandits or guards or soldiers, apart from one in a single cut-scene. 10. But then there are the cannibals. Cannibalism is used to great effect in The Road and many other post-apocalypse narratives to convey the hardness of life, the desperation of the people. In these post-apocalypses, the Earth has been stripped bare of resources. In The Road, next to nothing lives. It makes sense that humans would, as a last resort, eat each other. 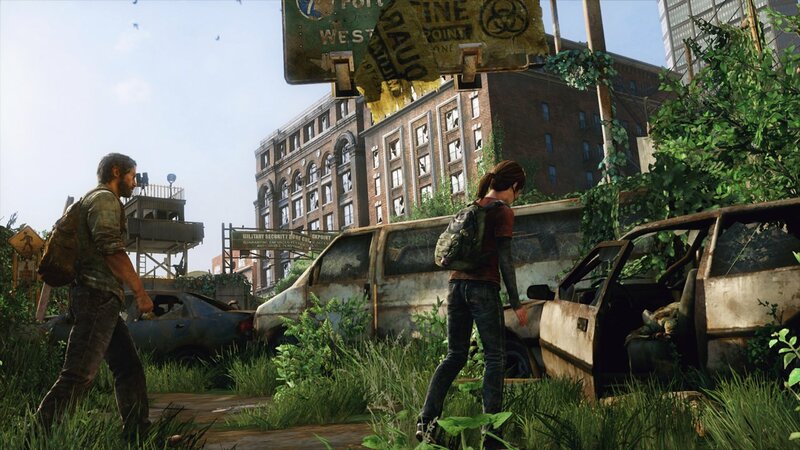 In The Last Of Us, the world is more rich of life and plants than ever before. This isn't an apocalypse for Earth, just for mankind. Without humans dominating the world, wildlife has returned to the world in force. In such a world, I'm unconvinced that people would become cannibals. Which is not to nitpick the realism of a zombie apocalypse. Yes, maybe the winter months push them over the edge. Yes, maybe they have created some weird, whacky ritual out of cannibalism. But that is exactly my problem: The Last Of Us wants to be one of those post-apocalypses where there aren't 'good' and 'bad' guys, but just humanity tearing itself apart as everyone tries to fend for themselves. In that world, 'cannibalism' feels like a lazily deployed shorthand for 'crazy post-apocalypse evil people'. You may as well replace them with demonic Nazis. They weren't interesting cannibals. They were Bad Guys and nothing more. 11. At various points in the game, I did not know how I was meant to be approaching a scene. In a game authored like this, I expect the game to find a way to tell me if it expects me to go in guns blazing, stealthily, or if I have the choice. Because I was playing on hard and because supplies felt so intensely sparse, I always tried stealth. But sometimes this wasn't always possible. Maybe a cut-scene would demand that the zombies are chasing me, and all the ones I've managed to sneak past suddenly are alerted to me after I step over an invisible tripwire. Maybe I restart a scene ten times because I want to stealth it successfully—only to get to the far side and realise I can't advance until I go back through the place and kill everyone. If, maybe, Joel had more regularly muttered to himself or Ellie, "There's no way around these guys" or something, I would've got the hint of what was expected of me. Instead, I'd waste time frustrated that a certain approach wasn't working, unaware that I was just playing it the wrong way. For this reason, I think The Last Of Us is a game I will thoroughly enjoy a second time. 12. 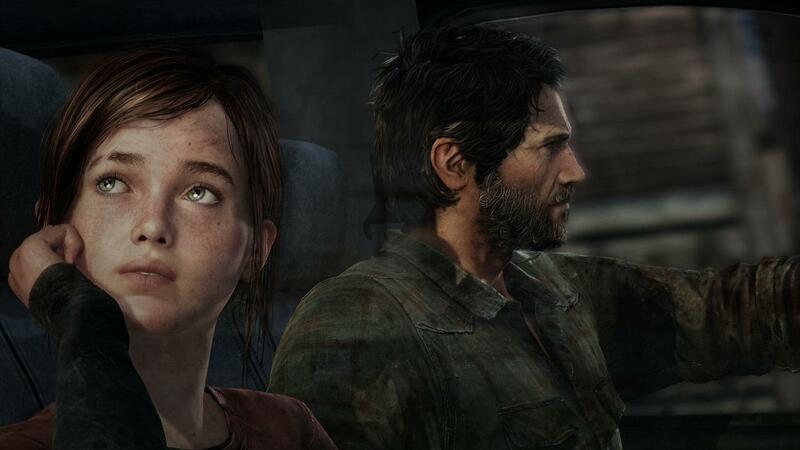 Just like the Uncharted games, The Last Of Us is a game of finely crafted moments. Two kids playing darts. Walking through the woods. Standing on a roof looking down on some grazing giraffes. My god, the giraffes. I think it is, perhaps, my single favourite design decision in the game, to have Joel and Ellie just lean on that rail and watch the giraffes for as long as the player will let them. They just stand there until the player presses a button and nudges them forward. It took me a long time to press a button. I wanted my characters to have this serenity forever. I didn't want them to go back into the darkness. 13. The Last Of Us is a game of jump cuts, not a game of fade-ins and fade-outs. Most videogames fade, but The Last Of Us cuts. Time skips forward. Scenes end abruptly. The whole game ends abruptly (and magnificently). Time cuts forward with each scene. It gives the game a very distinct ambience. Something... minimal. Something essentially. All the frayed ends have been shaved clean. This game won't waste your time with drawn out fade-ins or unnecessary plot. When it's done telling you something, it's done. This is a style so consistent that you encounter it before you even get to the main menu. 'Sony Computer Entertainment presents' and 'Naughty Dog' appear suddenly on a black screen in silence, one right after the other, each cutting in then cutting out. Before I was even at the menu, I knew something about what this game was going for. 14. That consistency of tone is so important and so incredibly well achieved. Tim Rogers's review details this much better than I could. 15. The boss battle against the bloater-or-whatever-they-are-called was terrible (and despite what the developers say, it was a boss battle). The boss battle against David was pretty great. 16. I have always liked how Naughty Dog deals with companions. I love that they can look after themselves and, occasionally, might even look after you. I like that I never have to worry about them. It didn't bother me the few times Ellie would stand right out in front of a guard while I am stealthing around, totally invisible to the guy walking past her. I can live with that. What did bother me, though, was when my companions would shout loudly around clickers or humans. Designing them to whisper when whispering is appropriate could've been a nice touch. 17. The Last Of Us has one of the best openings of any videogame. And one of the best endings. 18. Clickers were great. I am glad they killed in one hit. Unlike the other kinds of zombies, I could actually read them and understand how to act around them. 19. Naughty Dog are masters of environment design. The way they can take a building, age it twenty years and turn it on its side and have an environment that is both convincingly detailed and still fully navigable is a testament to their ability. Each and every place in The Last Of Us was a pleasure to just move through. So much so that the game, not to harp on, could have supported my engagement with fewer skirmishes. 20. While I was playing The Last Of Us and complaining about all the individual segments that really frustrated me, I predicted that those segments would not bother me in hindsight. I was right about this. Once I had finished the game, I was left with only admiration for this game. For the plot, for the characters, for the moment-to-moment things I had done throughout the game. It is still a game of tensions, of things that are incredible and things that are incredibly frustrating. But I don't think it could be one of these without the other. Here is a blockbuster game that is trying to do something interesting, pushing against the mould if not entirely breaking out of it. The final result, then, is a warped mould rather than something entirely unique. Frustrating because it doesn't always act the way you expect it to. Incredible because it doesn't seem particularly concerned about your expectations. "Tension" is a really nice way to pitch "dissonance" and "shortcoming" without ever actually confronting something's failure. Well I think 'tension' is the right word here because The Last Of Us *doesn't* fail. It clings on for dear life through all its impossible combinations of mechanics and themes and, somehow, comes out on the other side as this great experience in spite of those tensions. Yes, there is a dissonance. No, I don't think it is a shortcoming and definitely not a failure. Or, at least, if there is a shortcoming, it is of what this form of game is able to achieve, not of the game itself. That's where the tensions lies: in the way the game is constantly and stubbornly working against the flow of what this 'kind' of game 'naturally' wants to be. Which is fascinating. Critical Damage is a blog about videogames—particularly about the meanings we put into them and the meanings we get out of them. I used to update with a new article roughly once a week varying from creative retellings of specific gaming moments to pseudo-academic musings on videogames in general. These days, most of my writing appears elsewhere (check here for a list of the pieces I have worked on) but I still return to Critical Damage from time to time to post some stray, homeless ramblings. Is a Media and Communications PhD student at RMIT University. Holds a BA in Writing and Japanese with Honors in Communication and Cultural Studies. Is a freelance videogame critic and journalist for the likes of Edge, Polygon, Hyper, Unwinnable, Gamasutra, Pixel Hunt, Ars Technica, and PC Powerplay. Can be contacted at brendankeogh86 at gmail dot com or on Twitter at BRKeogh.